Triorla interrupta (Robber Fly) ♂. Size: approx. 25 mm. Photo: 07/19/11, 10 am. Triorla interrupta. 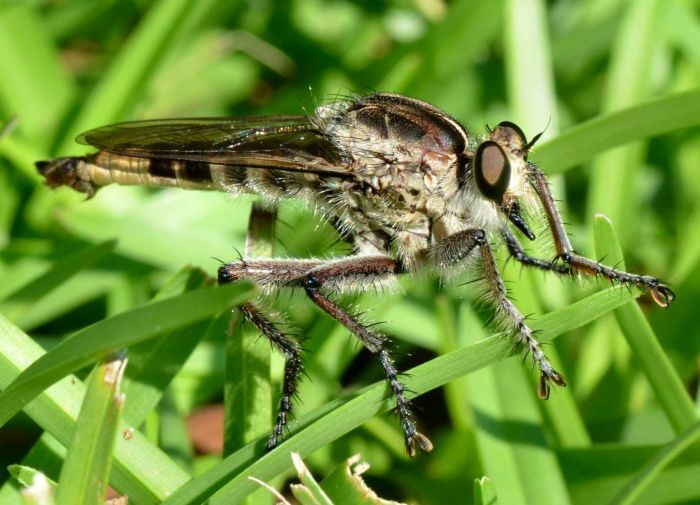 This pretty big robber fly often kills even larger insect prey including grasshoppers and dragonflies. It likes open grassy terrain. This specimen has been identified as a male on the bug guide.